I saw something today that really cracked me up. Looking at a friends page on MySpace, I saw "Roaming Gnome" as one of his friends. 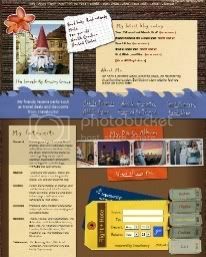 At first I thought it was just a joke, but it turns out that the travel site "Travelocity" has a Myspace profile for their "Roaming Gnome". Neverless I was very amused. His profile is rather funny.